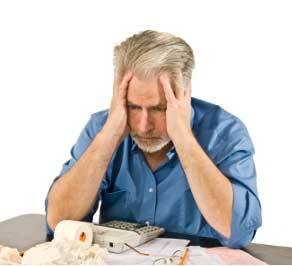 Filing for Chapter 7 Bankruptcy or Chapter 13 Bankruptcy is more than just filling out bankruptcy forms. The advice you will receive from our Phoenix, Arizona bankruptcy lawyers may help make a substantial difference as to how much property you may be able to keep and how much of your debt you can eliminate through filing for bankruptcy. We will also discuss the many options you have regarding your particular financial situation. Our Tucson and Phoenix bankruptcy lawyers also may be able to save some of your assets (your money or personal property) through the use of pre-bankruptcy planning. While not all property is exempt, you may be allowed to convert non-exempt property into exempt property before you file which usually allows you to keep most of your property. Our trusted and experienced Phoenix bankruptcy lawyers can help you take advantage of all the relief provided to you by the United States Bankruptcy Code. This is just one of the many ways that our bankruptcy experience and knowledge will benefit our clients. At the Phoenix Bankruptcy Law Firm of LegalHelp-az, our Phoenix, Mesa, and Tempe bankruptcy attorneys provide our clients with the utmost professionalism and personal service. Our dedication to exceptional, cost-effective legal representation has established our reputation as a leading Phoenix Arizona Bankruptcy law firm. We handle Chapter 7 and Chapter 13 bankruptcy filings in Phoenix, Tucson, Mesa, Scottsdale, and throughout Arizona. Our bankruptcy fees are competitive as we strive to keep our bankruptcy fees low while keeping our client representation high.